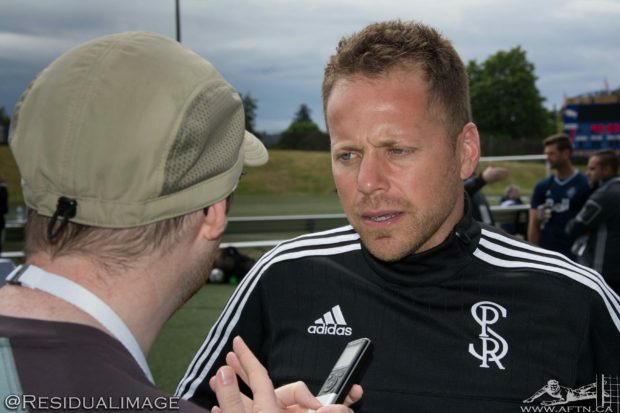 Marc Dos Santos is developing a peculiar habit. For the second year running, the Canadian has guided his side to a Championship game in the knowledge that he’ll be moving on to pastures new once it’s all over. It’s an unusual blueprint if other coaches want to adopt it, but it’s just how things have worked out for Dos Santos these past two seasons. Maybe its the added spur to leave on a high note, or maybe it’s just sheer coincidence, but whatever it is, it’s working. Last year Dos Santos took Ottawa Fury to the NASL Soccer Bowl, losing a wild one 3-2 to the New York Cosmos. Dos Santos had made the decision in September last year that after two seasons with the Fury it was time for a new challenge, heading to the USL, and new Sporting Kansas City affiliate club Swope Park Rangers, to become their first ever head coach. The decision to leave Ottawa and drop down a level in the pyramid, after building the team up to be Championship contenders, surprised many, but the lure of working with closely with a MLS side provided Dos Santos with an “incredible experience” that he felt he couldn’t say no to. It was an even bigger surprise then when he announced in August that he would be leaving Swope Park after just one year in charge to return to the NASL with new expansion side San Francisco Deltas. But if those connected with Swope Park were concerned that Dos Santos’ mind might be elsewhere for the final two months of the season, nothing could have been further from the truth, as he took the club on a tear and into the USL Championship game on Sundays at New York Red Bulls II. “I’m a coach that wants to learn,” Dos Santos told AFTN on a conference call this week ahead of the USL Championship game. “I’m a coach that wants to grow my personal ambitions. I’m not very concerned with the future. I try to live everyday with the club where I am, giving my best and putting the best I have in my work into the club. “I’ve tried to leave the club leaving a good legacy. I just think you don’t really control your future. It’s not in my hands. The future doesn’t belong to me, so I’m just very focused on what I have to do today. I’m focused on the final on Sunday and then we’ll talk about it when I get there. Swope Park Rangers have hit their stride at the perfect time and head into Sunday’s final on the back of seven straight victories, sadly the last of those coming against WFC2 in last weekend’s Western Conference final. Rangers won their first two matches in the league before going four games without a win, which included a defeat at home to the Whitecaps. After that it was a fairly up and down time of it, before a strong ending saw them claim the fourth seeding heading into the playoffs. “The turning point in the season for us was that in the first ten games, it was a little bit more difficult,” Dos Santos said. “In year one, in an expansion year, we’re learning about the league and your rosters and about the club. And when we had a bad spell of five games without winning a game, the group always stayed together. “The mentality of the group, the cohesion of the group, the mentality of the club [Sporting KC] that has been a winning club in the past five years in MLS. We just want to continue that work in the USL team. That was the turning point. The moment that things were not going very well, we kept working and believing in what we were doing. When we chatted with Dos Santos when he was up in Vancouver back in June, he talked about the excellent working relationship he had with Sporting KC head coach Peter Vermes. The way that the parent club and Swope Park Rangers work together and prepare for matches certainly appears to be the model that other MLS clubs should follow with their USL teams, and the Whitecaps could learn a few things from it. “I don’t want to be disrespectful to [other MLS2 coaches], but I doubt that there’s another club working between the first and second team like Sporting Kansas City does,” Dos Santos told us on the call. “The office I’m in is five metres from Peter Vermes’ office. Every time he’s in town and he doesn’t travel with the team, he’s involved with us. “He’s very concerned with making this work between the B team and the first team. Very passionate about the academy. Peter has helped a lot to build Sporting Kansas City. Swope Park Rangers was a dream of Peter Vermes, so he makes things so easy in the relationship between players going up and down. But it’s not all a simple case of the pair being in full agreement about everything. “Now, the only thing that there maybe is a little bit of a difference is that my idea of play is maybe a little bit different than Peter Vermes,” added Dos Santos. “But at least the mentality that Peter wants to players to have and what I believe in, it’s been 100% similar. 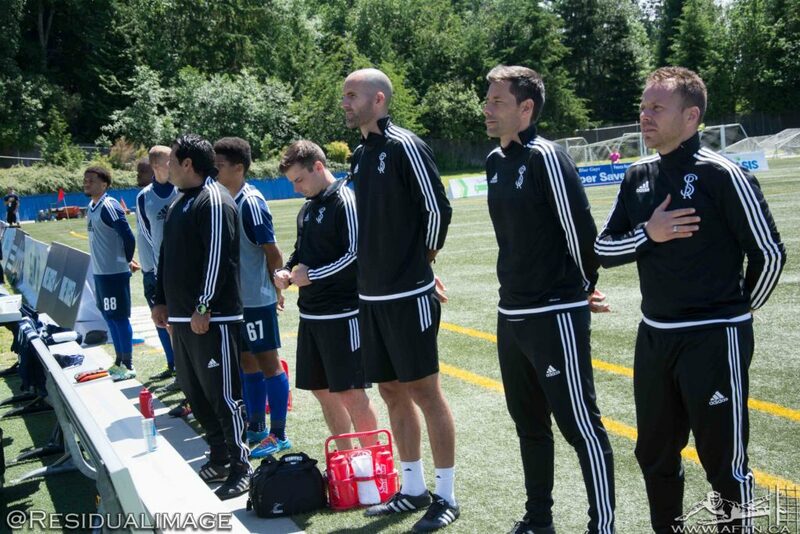 Swope Park may have ended the Whitecaps’ playoff hopes in last Saturday’s Western Final, but it did at least guarantee a strong Canadian contingent in Sunday’s Championship game. Dos Santos was born and raised in Quebec, and he’s added a strong Canadian flavour to his side, with four Canucks on the Swope Park roster. It’s something he’s proud of, especially with the impact the players have made to his side, and he hailed USL rules that allow Canadians to be classed as domestic players on American clubs for enabling that to be possible, stressing that that is the way it should be in North American soccer. “One of the things that I think USL has got right is that at the end of the day, I don’t think Canadians should be considered foreigners in a North American league,” Dos Santos told reporters on the call. “And I’m not saying that because I was born in Montreal, I’m saying that because if you play in a league that there’s American and Canadian teams, then Canadians shouldn’t be considered foreigners in the MLS, the NASL, or the USL. “We know that and that’s an advantage in the USL. Every time I build a squad, I try and build it with the best players possible, regardless if they’re Chinese, Italian, Portuguese, Canadian, or American. I look at the player and the characteristics.